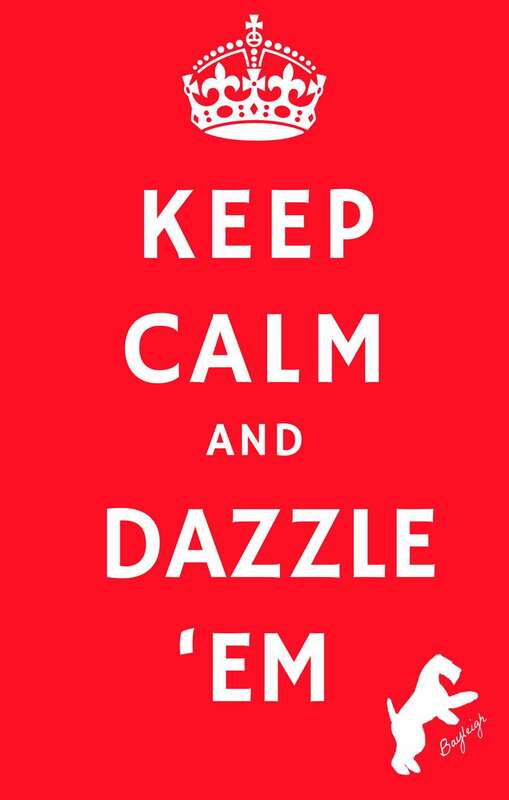 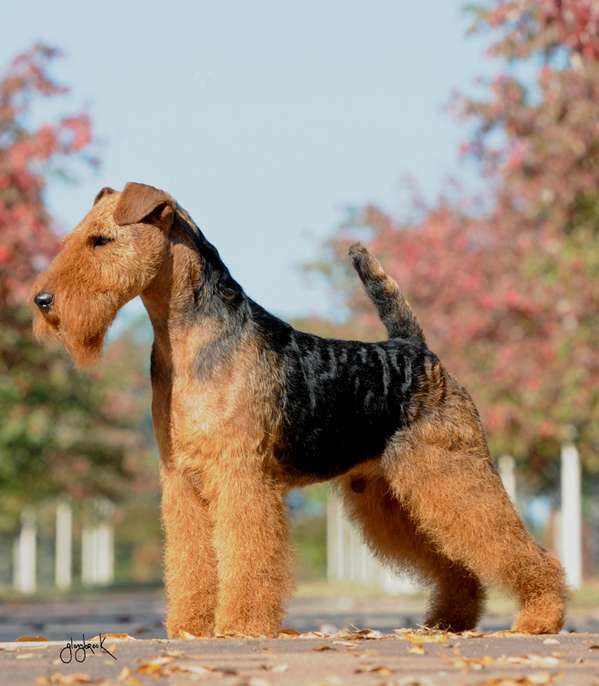 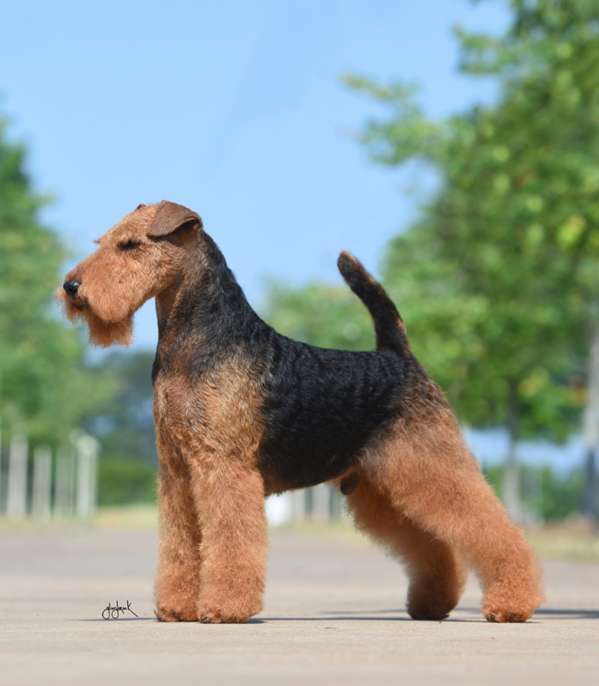 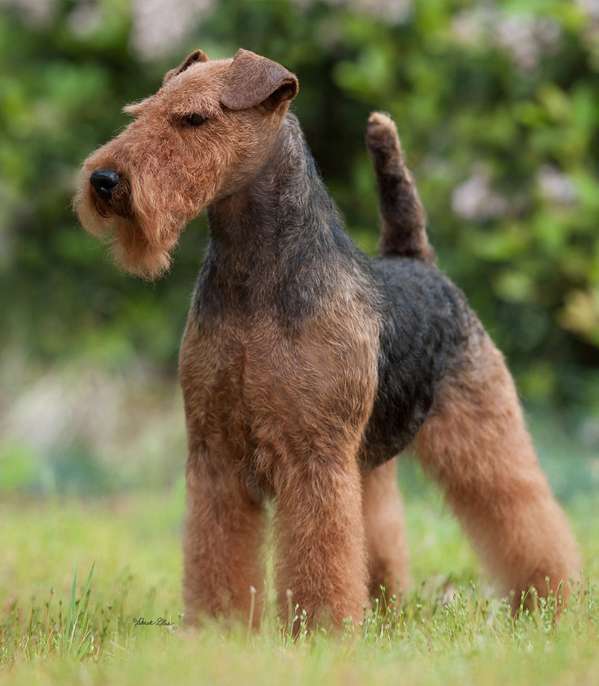 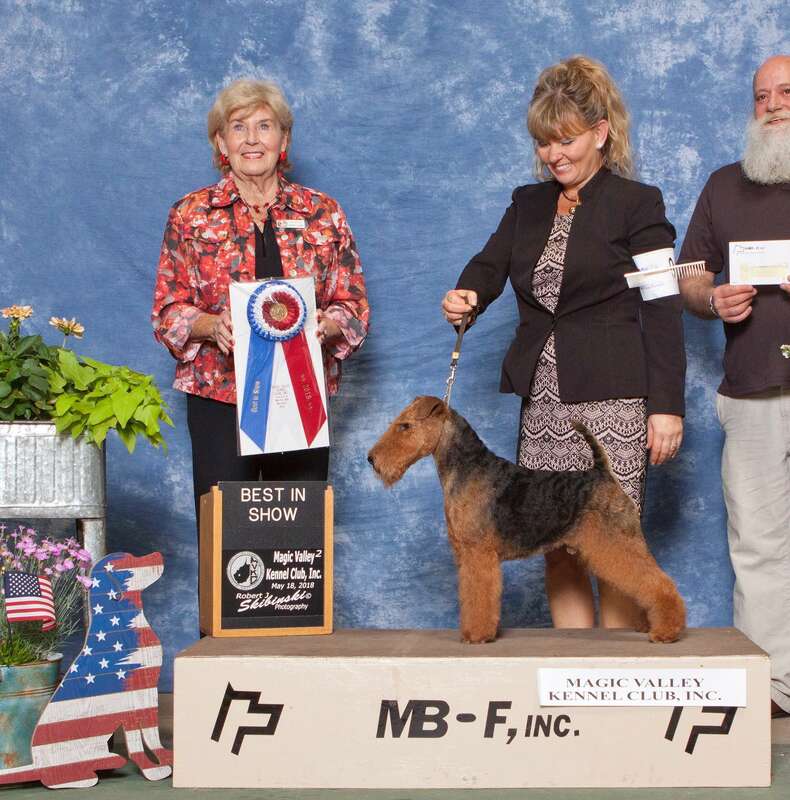 Bayleigh Welsh Terriers > AKC Champion > Keep Calm and Razzle Dazzle ‘Em! 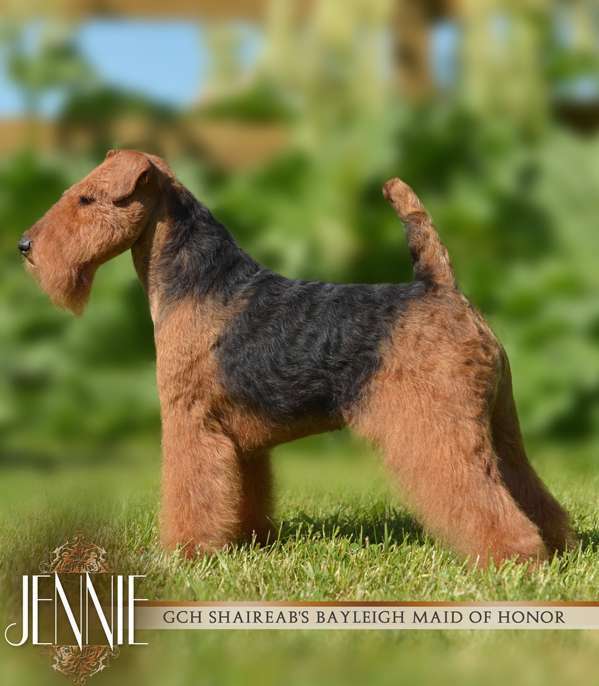 Recent events for Bayleigh Welsh Terriers have reminded us of some Bayleigh history! 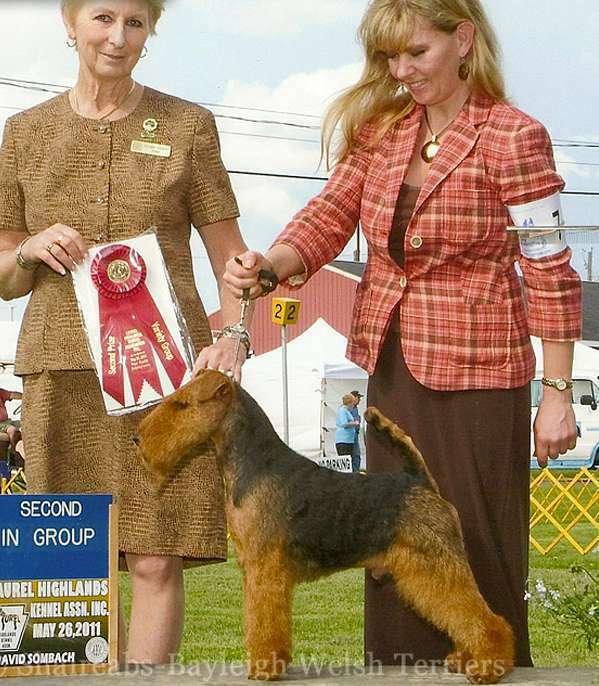 Handler Tracy Szaras has been with Bayleigh Welsh Terriers for 20 years. 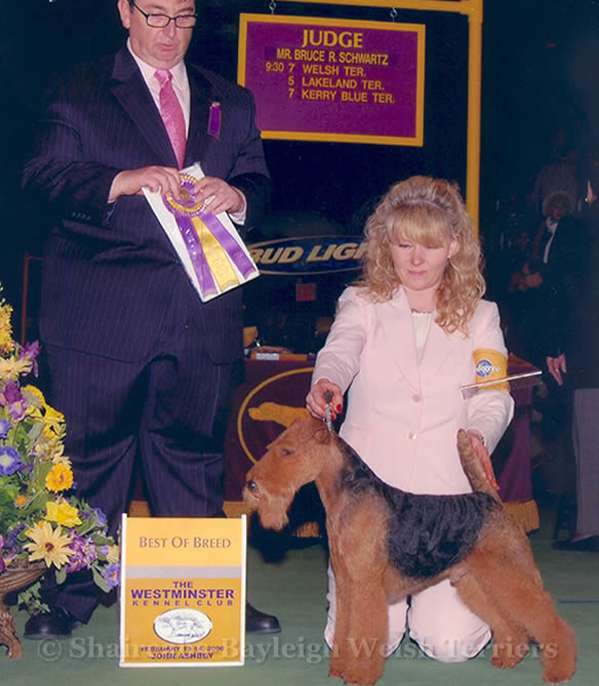 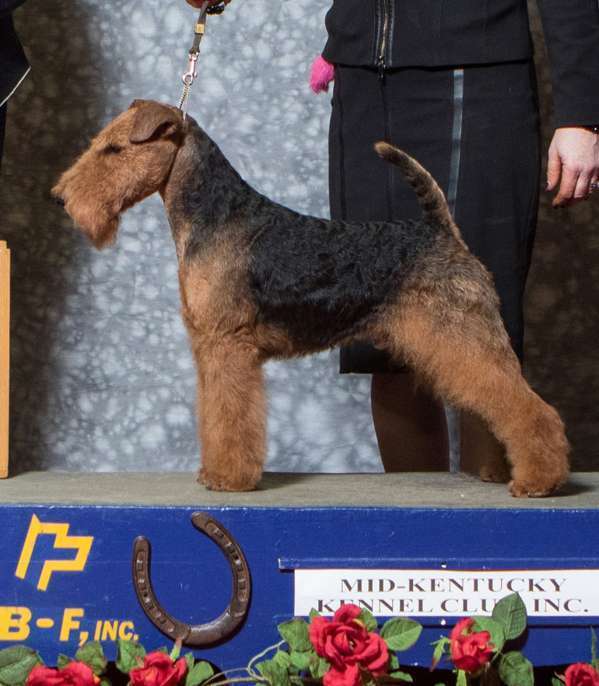 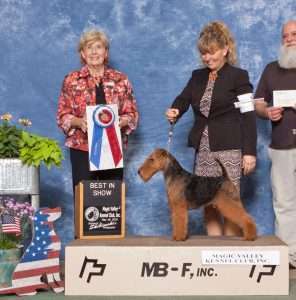 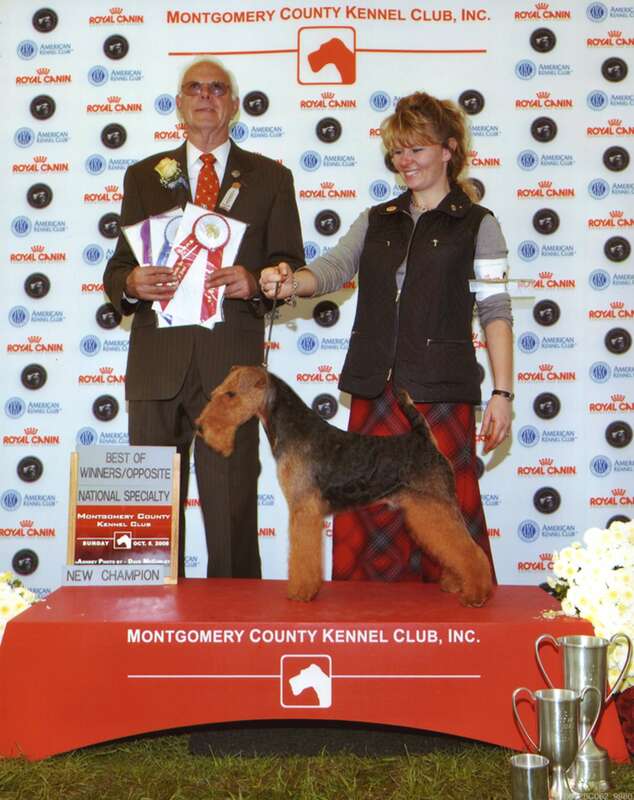 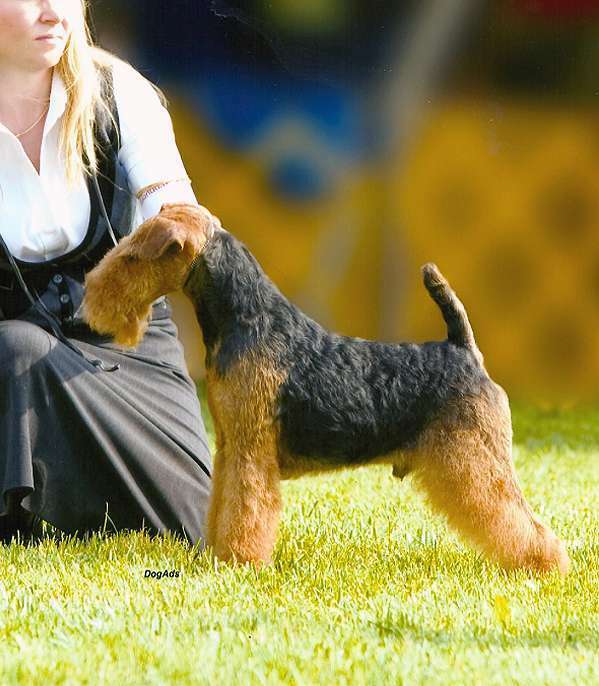 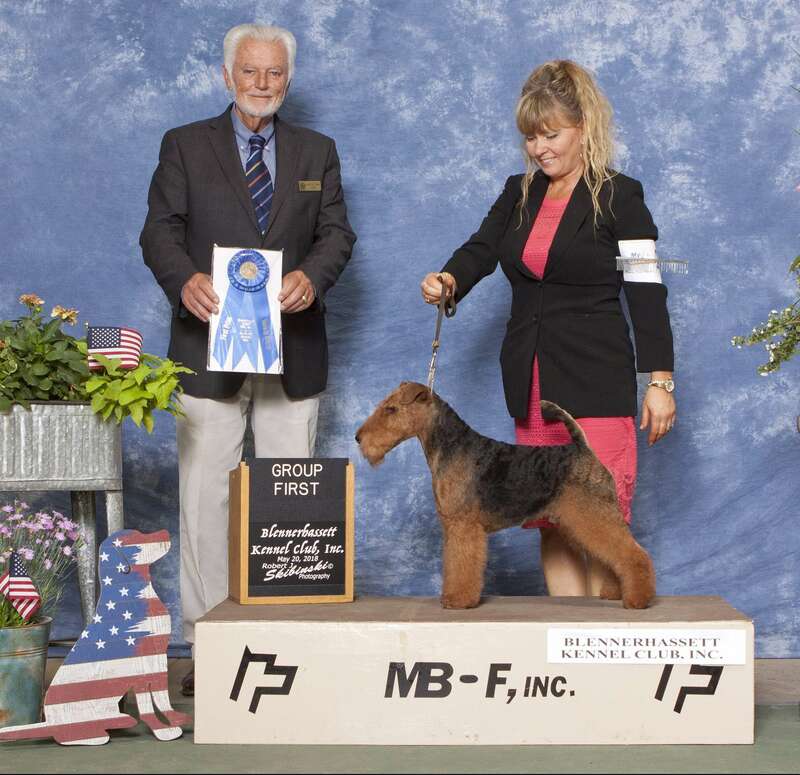 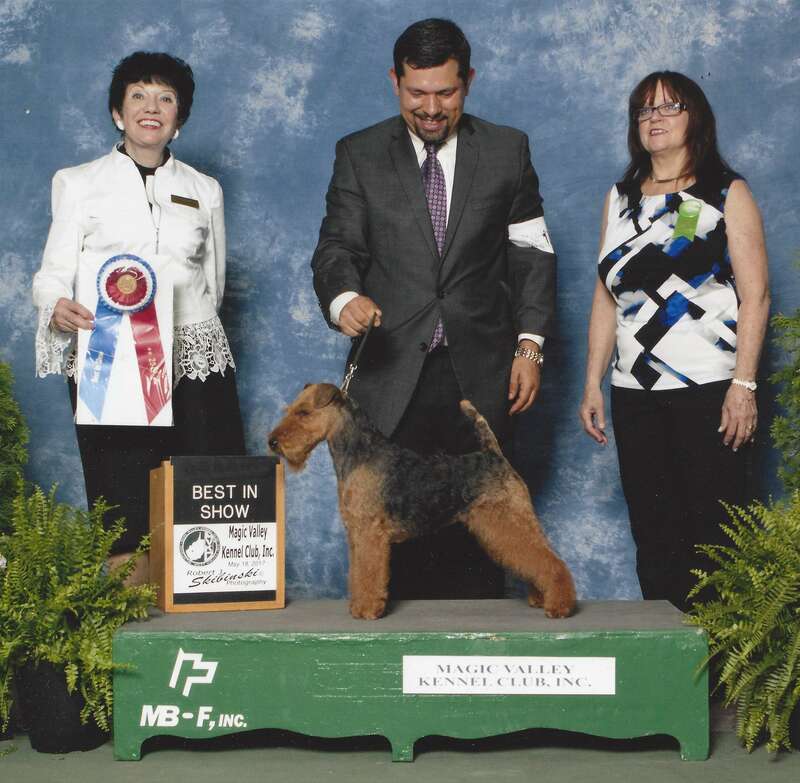 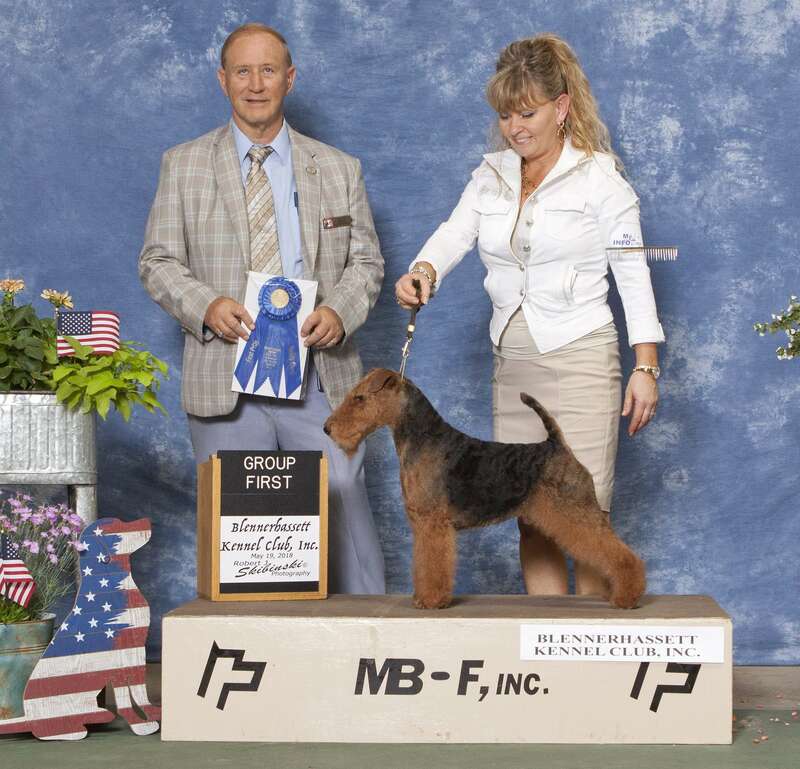 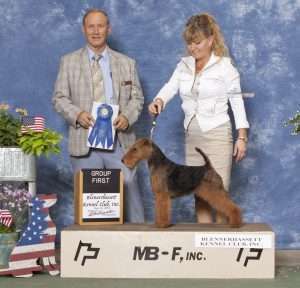 She showed Bayleigh Welsh Terrier Spyder to Bayleigh’s first Best in Show nearly 10 years ago in 2009. 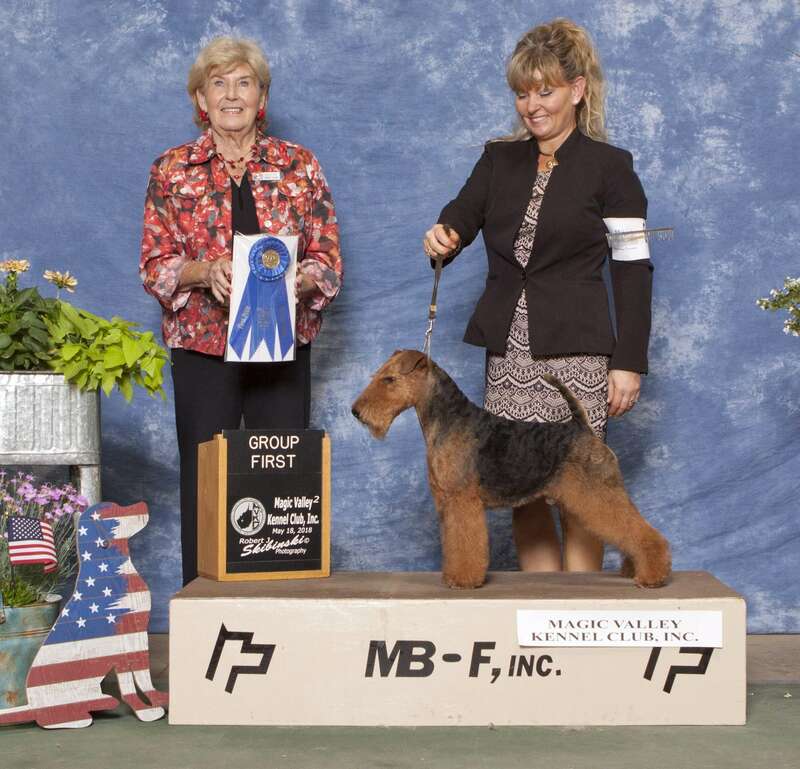 Spyder’s son from his last litter, Dazzle, bred and co-owned by friend Janet McBrien, is now being shown by Tracy. 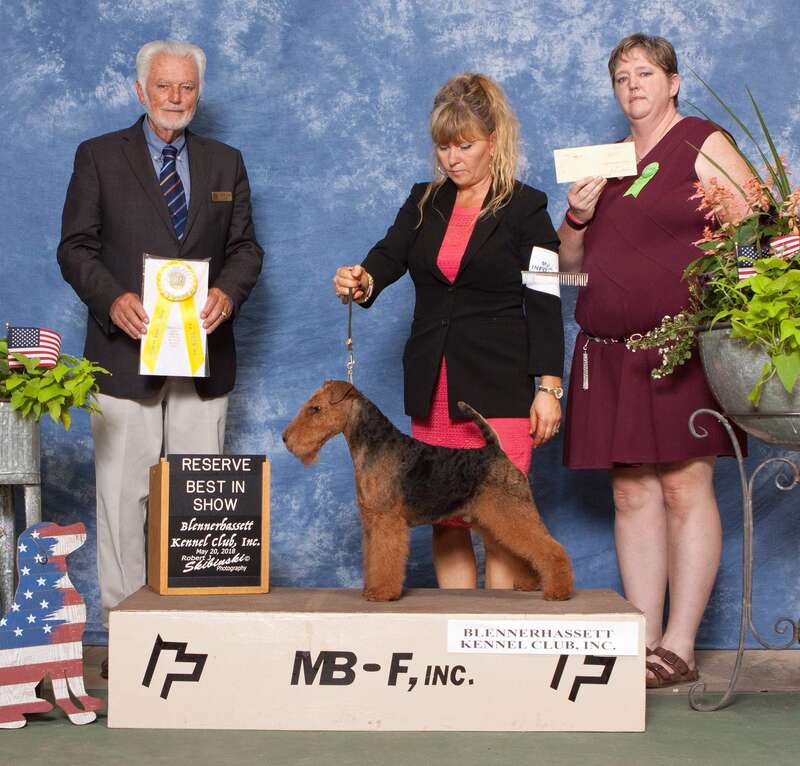 Together they have achieved a great deal in the short time they’ve been in the show ring in 2018. 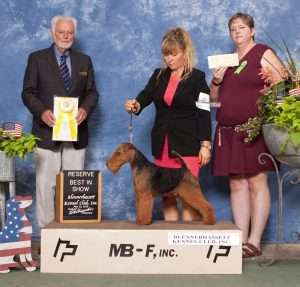 Six shows later, Dazzle has become a Grand Champion and recently achieved his first Best in Show at Magic Valley Kennel Club. 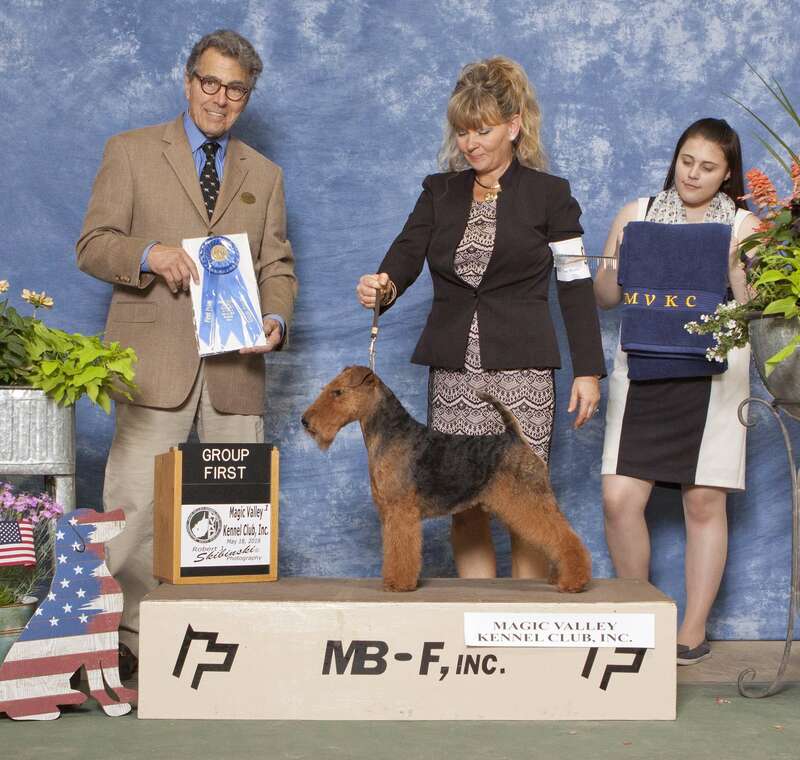 At the same show last year, Khaleesi was Best in Show, Reserve Best in Show, and obtained four Group Ones.